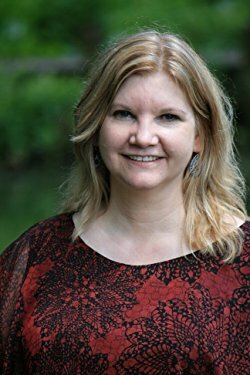 Caroline Giammanco is the author of the new book Guilty Hearts, which focuses on prisoners and their partners and families. 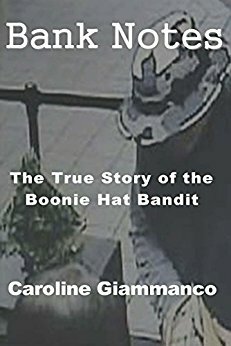 She also has written Bank Notes: The True Story of the Boonie Hat Bandit, which looks at her own relationship with a prisoner. A longtime teacher, she lives in Missouri. Q: What were some of the factors leading to your writing Guilty Hearts? A: There are several reasons. Writing Bank Notes was my opportunity to tell our story—the story of Keith Giammanco’s fall from middle-class father into crime, our prison experiences, and our love story. It’s not easy putting your personal life out there for the world to see, but we believed it was important to use Keith’s compelling high-profile case to bring awareness to the need for reform in the criminal justice system. As soon as Keith and I became a couple, I faced the scorn and stigma of being in a prison relationship. I lost friends, but even more painful, I lost family members. My brother disowned me. My cousins treated me as though suddenly I was mentally ill. Word got back to me that even out-of-state family members were hearing I was manipulated by an inmate. Family daggers in the back are the worst. Once Bank Notes came out and our story became public, I fielded prying, skeptical questions from radio hosts and customers at book signings. At my teaching job, once my “secret” was out, I was treated as a pariah. Whom I love became a reason to ostracize me. While it stung, I wasn’t going to let it stop me. Keith and I love each other, and thankfully we don’t let others dictate our decisions. I began thinking of the millions of families out there who don’t get to tell their stories, yet live under the same stigma I face. I knew I wasn’t alone in my isolation. Families across the country are forced to wear a cloak of shame because someone they love made a mistake. Not everyone has the ability or desire to put themselves in the glaring light of public scrutiny. Most inmate families are battling enough social and financial issues. I wanted to give couples and families the ability to tell their stories in safety. I’d face the public scrutiny. They could tell me their stories, let their own humanity show, without being attacked in a public way. I also wanted society to understand why inmate relationships are important and why it’s more dangerous for our communities when inmates are abandoned. Society wants to kill connections to inmates, the monsters people conjure in their minds who deserve to be locked up with the key thrown away. The problem is, most inmates aren’t monsters. They were just like the rest of us until they became desperate, scared, developed drug or drinking problems, or were raised in the wrong zip code. Another problem with society’s urge to dissolve family and relationship ties is that over 95 percent of all inmates aren’t locked up with the key thrown away. They re-enter our communities. It’s not good for any of us if they have no one on the outside. If the draw of returning to prison is stronger than ties back home, former inmates will find a way to go back to the prison society that accepts them. They return to prison by committing crimes, and those crimes are against people in our communities. No one is safer by breaking families apart. Q: How did you meet the families you profile in the book, and what do they think of it? A: Through my criminal justice reform efforts, I had already made friends with women who have compelling stories to tell. They were my first sources. I wanted to have a broad range of experiences profiled in Guilty Hearts, however, so I decided to branch out to people I hadn’t known personally. I posted in prison wife groups on Facebook that I was looking for women willing to share their experiences. My best friend from college is active in adoptee groups, and she spread the word in her circle, too. With each of the families, I asked for input from wives, mothers, and the inmates. I wanted information on how they met, how they maintain their relationships, and what reactions they have faced because of their relationships. Knowing I have the support and praise of the women who shared their stories means the world to me. I wanted them to be pleased with how their stories were presented to the world. A: I chose the title because the women and families who love inmates are expected to carry the same guilt as the inmates. We are supposed to be ashamed of whom we love, as though we are defective if we love someone who broke the law. Mere association with a criminal casts us in a negative light. 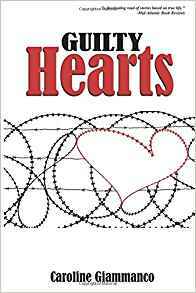 Guilty Hearts is a chance for women and the inmates they love to show relationships can exist and continue even when someone makes a mistake. Q: What is happening now with Keith Giammanco's case? A: His federal appeal is still under review. It’s been two years, and we are in the dark so far. We are hoping and praying for a positive result. In Bank Notes I wrote about my efforts to reform 85 percent mandatory minimums in the state of Missouri through the legislature. It’s a complicated issue, and politicians have knee-jerk reactions to crime just like everyone else in the world, but we were making progress. We had high hopes at the time the book went to print. In its first trip through the legislature, the bill, which applied to first time offenders, made it all the way to debate on the floor of the Missouri House of Representatives. Representative Don Phillips sponsored that bill. At the end of that session a different representative, Galen Higdon, enthusiastically called me, adamant that he could push the bill all the way through the next year. He not only didn’t deliver, he didn’t even propose a decent bill. The one Galen Higdon concocted was so vague that it didn’t even apply to 85 percent mandatory minimums or first-time offenders. “Trust me” was a phrase I heard from him. I’ve never had much confidence in a man who has to tell me to trust him. I went through two back-to-back reconstructive foot surgeries that fall and winter and didn’t have much choice but to leave it to the representative who had it handled. He didn’t. Nor did he produce a viable bill the next year. My trust has run out with him. However, I have not given up on bringing reform to draconian laws established under the Clinton administration (which even they now say were a mistake that have led to mass incarceration and buckling expenses to the states who have continued the failed practice). At one book signing in St. Louis, I met a member of the state jury that convicted Keith. As we suspected, the jurors had no idea what they were actually sentencing Keith to in September 2010. “He’s home now, right?” the gentleman asked me. “I thought he’d be home when his federal sentence ended,” he said with a shocked expression. He also wasn’t aware that the judge went against the jury’s recommendation of 15 years and instead sent Keith to prison for 20 years. So, unfortunately for now, Keith remains in prison with no chance for parole for another eight and a half years. A: I am halfway through writing Inside the Death Fences. It’s my story of how I began working at a maximum security prison, my experiences before I met Keith, and the events that happened afterwards. Last November, news broke of over $7 million paid out by the state in harassment and retaliation lawsuits against the Missouri Department of Corrections. Before then, the system operated in the shadows, under the guise of being “the good guys.” A few of us had spoken up against the system, but overall people turned a blind eye. When millions of dollars were at stake, they suddenly took interest. The Missouri House of Representatives created a subcommittee investigating the corruption within the DOC. As a result, the department now has a new director and assistant director. Many of us hope the investigation doesn’t end there. I’ve gotten to know the members of the subcommittee, and I have gotten to know current and former employees who are also now willing to speak up against the fear and retaliation within prison system. The full details will be included in my new book. A: The Missouri Department of Corrections banned Bank Notes from entering the prisons after I gave a signed copy in person to then-DOC director George Lombardi. For years I’d heard, “The people in Jefferson City don’t have any idea what goes on at the prison level.” I took that buffer zone away by making sure the head honcho had a copy in his hands. When he had the opportunity to turn his ship around, he instead banned my book. Keith and I are known within the prison system. When he was transferred to the Southeast Correctional Center in Charleston, Missouri, we were denied visiting rights, our marriage request was denied, and they interfered with our mail. I had to seek the help of a legislator. We are seen as a threat by the system. Good. When Keith’s level dropped in January of this year and he was moved to Western Missouri Correctional Center (a medium-level prison), our recognition traveled with him. On his second day there, when mail was called, he went to get his ID (a requirement for getting mail). The guard said, “You don’t need your ID. I know who you are.” On his second day at the prison. We continue to work to make the system more efficient and more effective. It is, after all, called the “Corrections” Department. Rehabilitation should be the goal. For more information about the books, us, and our reform efforts, people can go to www.booniehatbandit.com. --Interview with Deborah Kalb. For a previous Q&A with Caroline Giammanco, please click here.